2016 may just go down as the worst year of the decade but at CharityComms, we’ve got some great memories. This year we ran 51 events across the UK. From content marketing to debates about the value of social media, we covered it all. We were joined by a whole bunch of top-notch speakers who gave insightful and inspiring presentations, so we thought we’d share with you the most popular presentations from 2016. Not only was it really informative and great to meet others on the day, we’ve been able to take back a lot of the learning from this and see how else we could develop our work with video. It was well put together based around the top tips which meant it could be applied to your own organisation rather than just admire their work. At our Digital conference in October, Platypus Digital’s Matt Collins and Mandy Johnson, formerly from Change.org gave attendees the essential ingredients and lessons learned from hundreds of campaign pages on Change.org – not only that, they gave a free consultation of landing pages at the end too. It went down a storm and delegates said the presentation had lots of practical information they could take back to the office. At our final seminar of the year, Nicky Hawkins from Equally Ours reflected on the weirdness that was 2016 and the lessons communicators should take. Delegates loved Nicky’s presentation, including her insights, tips and topical examples. 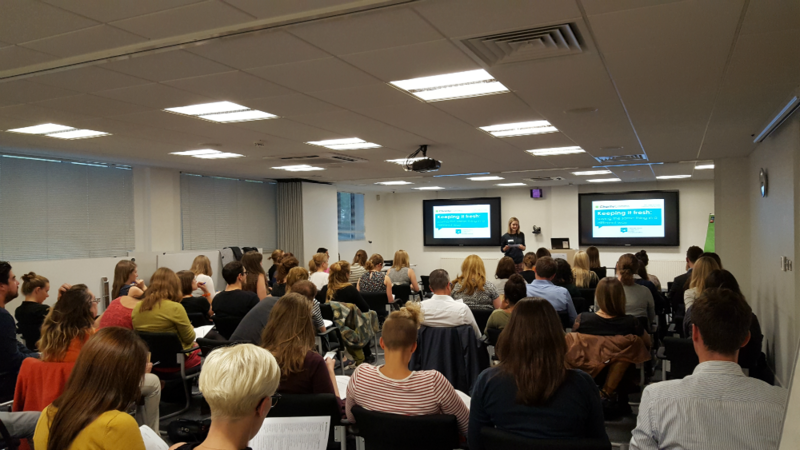 Check out our events programme for 2017, packed with topics for all charity communicators across the UK. Be the first to find out what’s on the agenda for each conference and seminar by signing up to eNews, our fortnightly email bulletin. All of us here at CharityComms look forward to seeing you in 2017 – may it be a more positive year! Harri joined CharityComms as events co-ordinator in March 2014 to co-ordinate, manage and run our series of events before becoming events manager in 2016. Before this, Harri was the World Fellowship and events assistant at The Duke of Edinburgh's International Award Foundation.